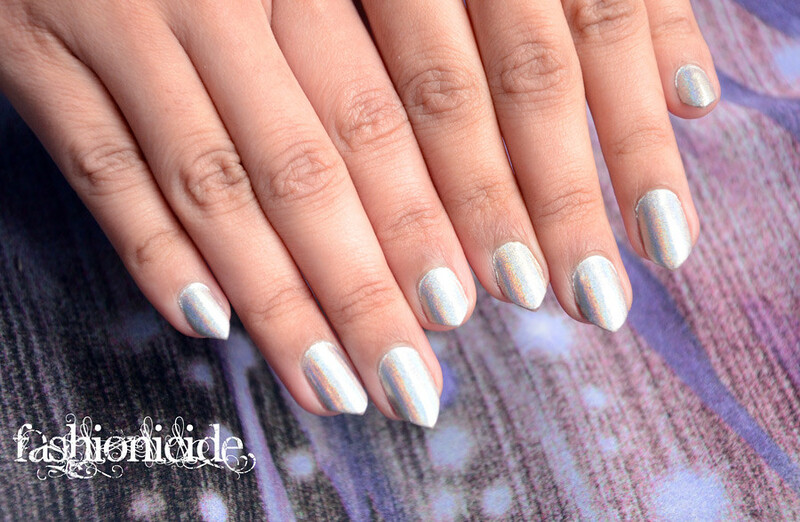 Anyway putting Gosh to one side, I've been hankering after some holographic nail polish for a long, long time. Problem with that is there isn't really all that many decent ones out there, so I bit the bullet and purchased Color Club's 'Harp on It' from eBay for £8.99. 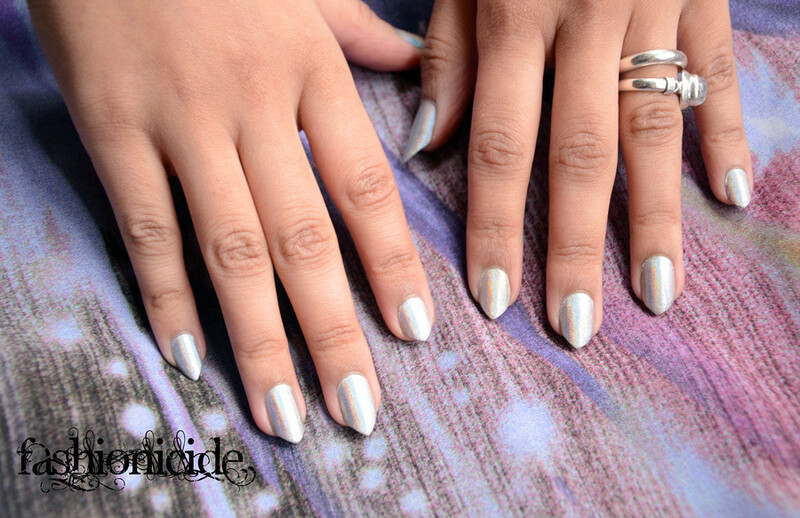 I'd never purchased a Color Club polish before, so it was a mini-adventure in to the unknown. 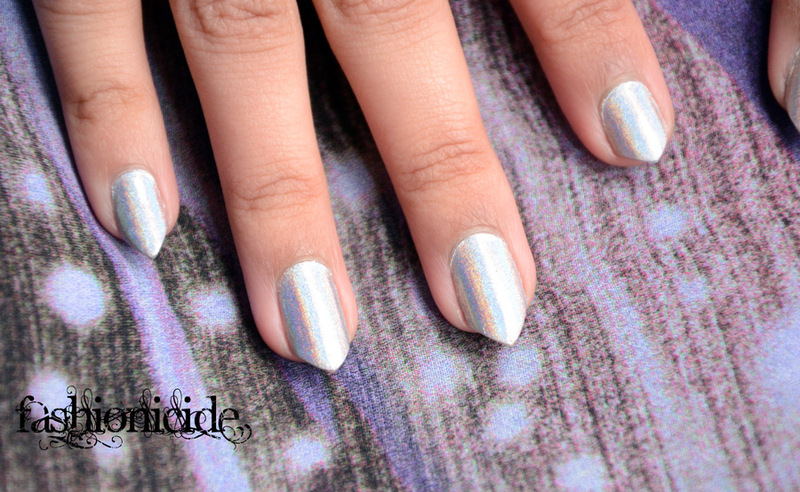 And now you see why I adore holograph so much! From afar, it appears to be a solid block of grey, but as you close in on it a mosaic of rainbow coloured specs appear like magic. I love that concept for two reasons: firstly, it reminds me of Manchester. The perception of it is a dull, grey, rainy northern city of gloom, but if you look closely you see a bright, vibrant city. And this is similar for people too, there's more to an individual than meets the eye. Check me out with my little philosophical ponderings... I'll shut up now! So back to the polish, and the first thing to note is the application is like a dream. Effortless. The brush is the perfect size so there was no need for a clean up operation on the cuticles afterwards. It took two coats to give it an opaque look and I must say I love the finish, leaving a glass-like shine that wasn't dulled by my Sally Hansen Insta-Dri topcoat. 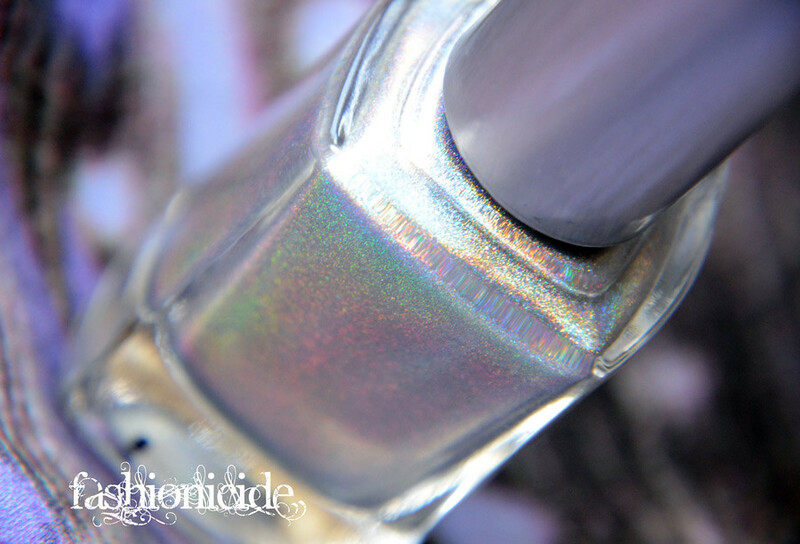 The colour is to die for, it looks like a plain, yet super shiny, metallic silver from afar, but just like when it's in the bottle, the closer you get, the more you begin to notice the little specs of rainbow magic. Yes it applies well and yes it looks stunning, but how about longevity? Unlike Gosh's feeble attempt, Color Club have got it spot on and I was really impressed. The photos above were taken on Day 3 and not a single chip in sight, you can just about make out that the tips are beginning to fade but that aside, it's still pretty good. The first chip arrived on Day 5, which is good for me as I've been slacking with Nail Polishes lately. I've gone from doing my nails every other day to once a week. Woah, this is simply AMAZING! Freaking awesome! 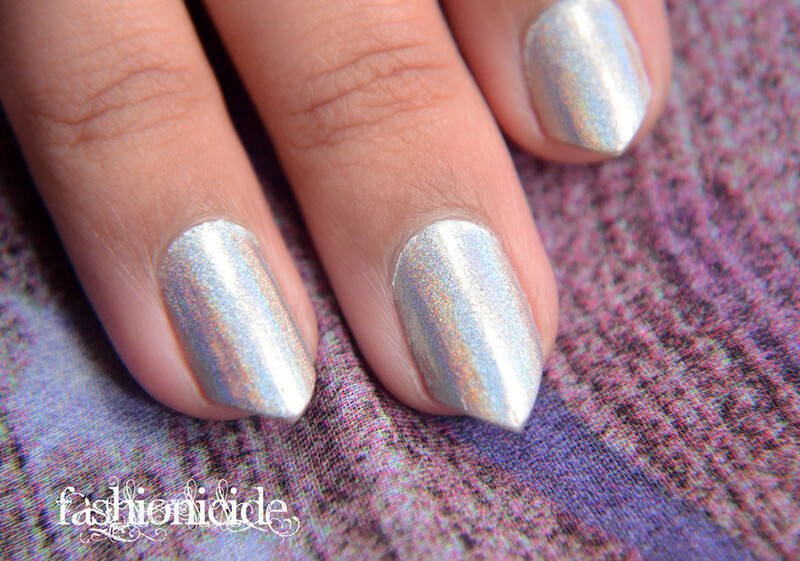 It looks like you've got holographic nail foil on, it so flawless! And wowza, I do fancy your pointed nails! So unique and eye catching! It looks fab! 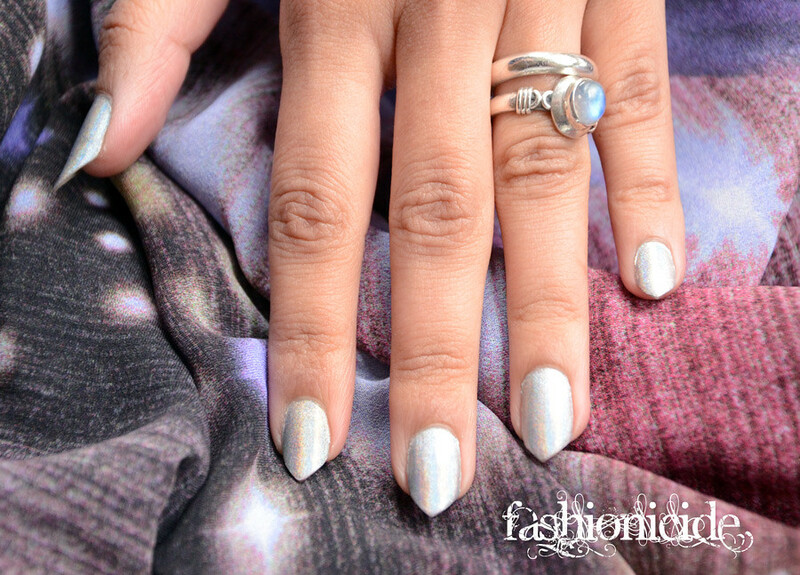 I haven't tried any holographic nail polishes myself. Oh wow, they look amazing. I definitely need to look into this product. Oh very cute nail polish! The colour is just incredible. I love how you've shaped your nails too. They look incredible! Ooohhh another holo fan! I love holos too! There's just something special about seeing rainbows on my nails.